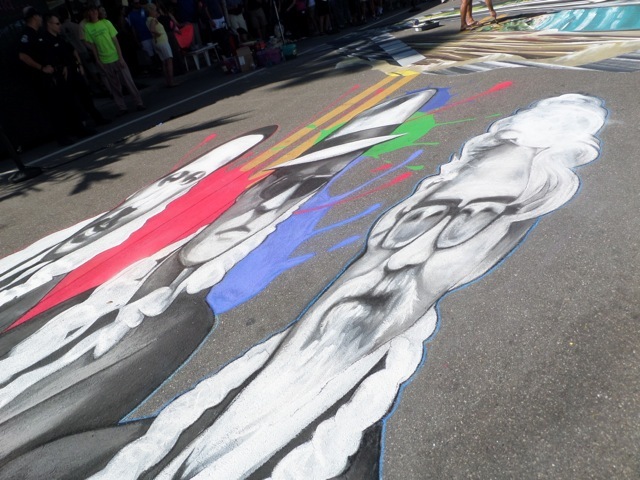 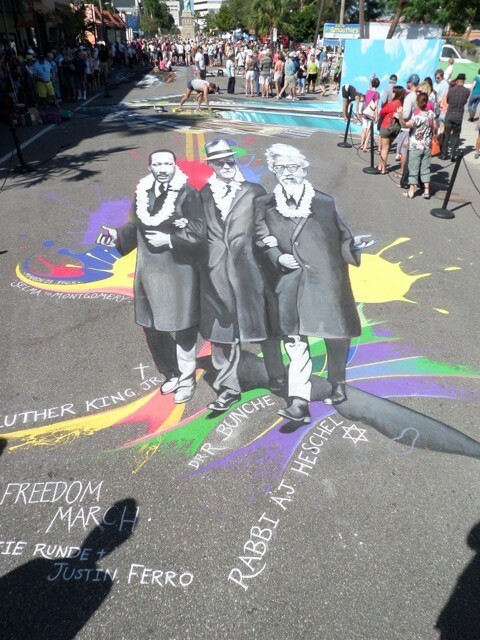 Freedom March, 2013, 35′ x 20′, chalk and tempera, Sarasota Chalk Festival. 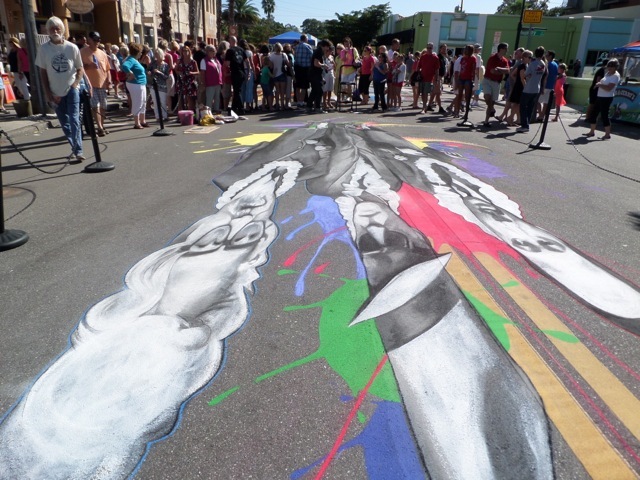 This year’s theme was Legacy of Valor: Honoring Veterans, Inspiring Patriotism, and Embracing Freedom. 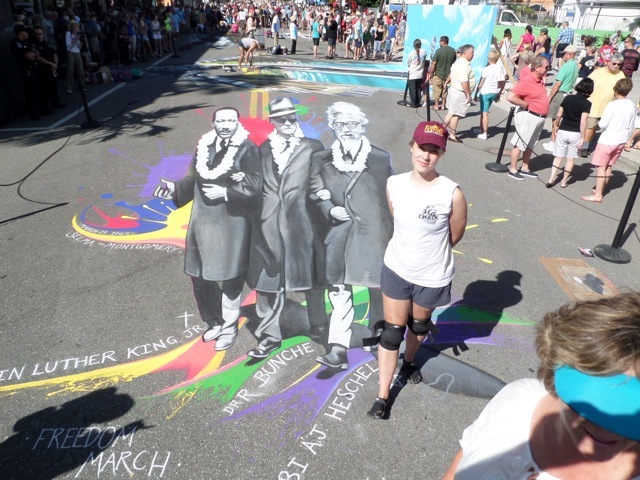 If you want to know why I chose a Dr. Martin Luther King, Jr., Dr. Ralph Bunche, and Rabbi Abraham Joshua Heschel marching in peaceful protest from Selma to Montgomery as my subject instead of a war veteran, check out the above blog entry.